When you’ve spent more than three years parrying reporters’ questions from behind the podium in the White House briefing room on live TV, it can be difficult to envision another challenge that would elevate your pulse rate. 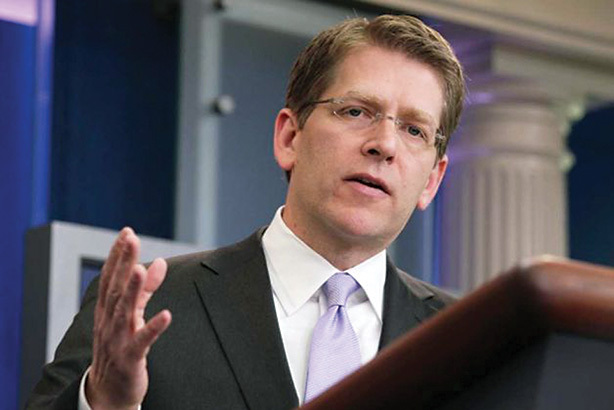 Jay Carney is giving it a try. When he took the top corporate affairs job at Amazon last winter, the company had a reputation — deserved or not — for low key, minimal interaction with the press, regulators, and stakeholders. At the same time, Amazon was radically disrupting traditional industries from publishing to retail to digital entertainment, while making a big push into web services. The companies that have dominated those sectors for years weren’t going down without a fight, and Amazon faced challenges on multiple fronts. In just over a year, Jay has given Amazon a voice and guided it into a place where it can better define public policy and comms issues on its own terms. His two decades of experience as a journalist give him a keen sense of what the press wants, and his tenure at the digitally savvy Obama White House taught him how to navigate the constantly evolving media landscape. Amazon now has a chance to match the technical genius that has always guided its core business with an up-to-date comms and policy strategy.